On 17 December 1980, at 9:47 am, two men shot the Turkish consul-general to Sydney and his bodyguard near the consul’s home in Vaucluse. The assassins aimed, fired, and vanished. Vrezh was home the morning of 17 December, across the harbour at 29 Whiting Street, Lane Cove, that quiet, leafy Lower North Shore suburb. The lab’s holiday shutdown meant he could sleep in, sticky with sweat, a single sheet tangled around his knees. Through the parted curtains, a laser blast of sun reached the edge of his pillow. The ceiling fan beat the thick summer air. He woke to his mother shouting in Armenian. Pulling on a t-shirt, Vrezh stumbled out of the twin bed where he’d slept since their first night at 29 Whiting Street, down the thickly carpeted stairs, through the dark wood and tufted leather sofas of the lounge, watched by the five sets of eyes of the family oil portrait on the far wall, and into the kitchen. The assassination was on the radio. ‘What are they saying, Vrezh? Who are they saying is responsible?’ His mother forgot all her English when she got flustered, and now she had one hand thrusting toward the radio, the other clamped to the side of her face. She wore her apron, sleeves rolled up, her hair in rollers. The kitchen smelled of ground lamb and onion. Vrezh’s grandfather Arshag, his father’s father, sat at the table, a tiny cup of coffee in front of him, a blanket around his shoulders. The baritone newsreader’s voice hit Vrezh like adrenaline. ‘What is it, Vrezh, I cannot understand!’ his mother shouted again. His mother removed her glasses and pressed her palms into her eyes. Held them there while the newsreader moved on to other stories. Then came the metallic brrrrriiiinnnggg of the phone. Vrezh’s father, calling from the jewellery store. Wanting to know if they’d heard. ‘Publicly we must call this a deplorable crime,’ his father said, his voice lowered. Vrezh nodded, his face blank. Like his father, he had followed the actions of the Justice Commandoes and ASALA, the Armenian Secret Army for the Liberation of Armenia, since their start five years earlier. Attacks against Turkish diplomats in LA, Athens, Paris, Beirut, Madrid. Today they had finally reached Sydney. For the first time, Vrezh felt empowered. From the corridor where the phone hung against a wallpaper of yellow and orange flowers, Vrezh could see into the kitchen. His mother bending over the stovetop, tasting the meat for the kufteh. His grandfather’s shaky hand reaching for his coffee, the cup slipping from his fingers, the brown liquid running in rivulets over the rust-orange plastic tablecloth, dripping onto the floor. And the absence of his brother, Armen, the one person he burned to speak to. With his forearms wide and heavy on the table, his thick shoulders and full head of coal black waves held back, Vrezh’s father presided over platters piled with roast eggplant, capsicum and lamb skewers. His mother leafed through the day’s letters while they ate. Here and there, she read a bit of news aloud, from Vrezh’s aunt in Boston, his uncle in Moscow, his grandmother – his mother’s mother, still in Egypt. Their family, scattered like ashes across the earth. As a child, Vrezh had imagined his family one day reuniting in Armenia. What was this ‘Soviet Union’ that was so powerful it could prevent them from living in their homeland? Now he envied the uncomplicated naivety of childhood. Alone in his bedroom, Vrezh spread every newspaper article about the assassination across his desk. Holding a magnifying glass over photos from the scene, he analysed where the shooter might have stood, how the motorcyclist likely manoeuvred along the residential streets to escape. He checked weather reports, considered wind resistance, the angle of the sun’s glint on that too-bright morning. He read and re-read the scant police statements. None of it revealed what he really wanted to know. Later, Vrezh fell asleep on the burgundy lounge sofa, two tasselled cushions under his head. The lounge was adjacent to his grandfather’s makeshift bedroom. His father had sacrificed his office when the stairs became too difficult for Arshag’s arthritic knees and doddering steps. In recent weeks, Vrezh had been sleeping in the lounge more often, giving his mother a break. Weak-throated shouts roused him. He ran the few steps to his grandfather’s room. ‘The Turks! They’re coming for me!’ Arshag’s hoarse shouts were an echo of terror across a chasm of six decades. One foot on the floor, the other tangled in sheets. Naked arms fought something unseen. ‘Grandfather, it’s Vrezh.’ He repeated this, trying to steady the old man before he fell and shattered a hip. His mother’s fear – that Arshag would die in a hospital surrounded by indifferent strangers. They will put him in a straight jacket again, Vrezh. It is a like a prison for him! Vrezh remembered the jacket, hung on a hook beside the hospital bed, its three oversized buckles used to trap the arms behind the back. They restrained him at night, his mother explained, so he couldn’t hurt himself. Still, it was unbearable to her. Better he is with family, she repeated. Now Arshag lay on the bed in his room, lamplight catching the skeletal edges of his cheeks. His bulging eyes stared at the ceiling. Sinking into the armchair, Vrezh kept a hand on his grandfather’s forearm, squeezing, as if to transfer his energy into the old man’s withered muscles, his terrified face. 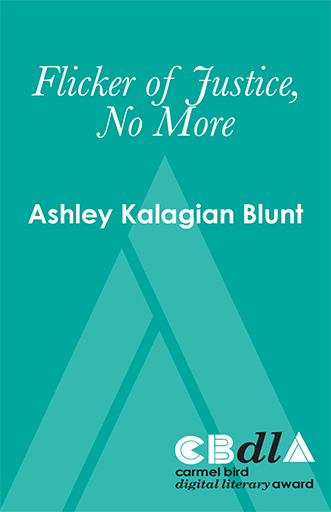 Ashley Kalagian Blunt’s work appears in Griffith Review, Sydney Review of Books, The Australian, and Kill Your Darlings. Her memoir, Full of Donkey: Travels in Armenia,was shortlisted for the 2017 Kill Your Darlings Unpublished Manuscript Award. She’s appeared at Noted and Story Club, and is a Moth Story SLAM winner. 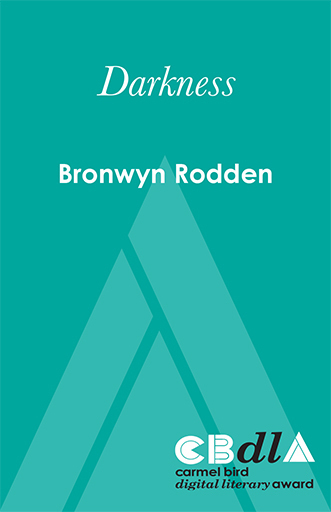 Darkness runs through these stories, played out in harsh Australian sun, as in 'A Taste of Persimmon', through a murder under watery English light in 'The Successful Candidate' or in the complexities of living across cultures, as in 'Maternal Eyes'. At times darkness looms as in the threatening world of 'New Dog Day', or what lies below in the 'Dark Side of Surfing'. And in Il Lago an iconic cross has become a burden for those who live in its shadow. In all, darkness is undercut by light, by humour, and by the colourful world and spirit of humanity. The characters of ‘Maps for the Lost’ are immersed in, altered by, and transformed into nature. A Czech artist re-maps the world by night in order to find his lover, a diver sinks his yacht under the weight of coral and fish. The collection is a kind of ecological fairytale, a coracle of stories haunted by loss in a biosphere which is unravelling, whose characters (human and animal) are almost unfailingly lost. 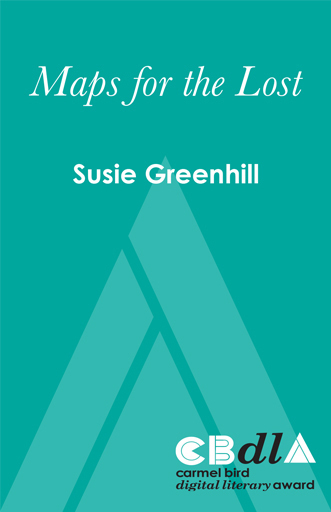 The islands, forests, coastlines and gardens they inhabit are the maps. This ‘buzzing, howling, gurgling biosphere,’ to borrow the words of Max Oelschlaeger, is the map. 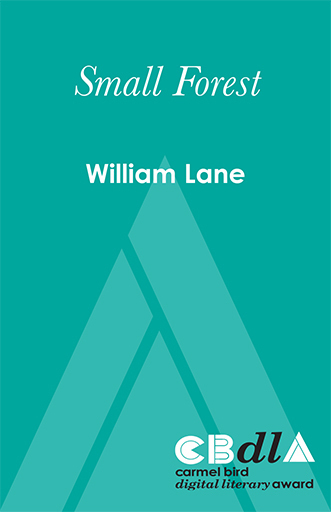 Small Forest is a collection of nine short stories. The stories are linked by recurring concerns, such as the return of the repressed. The effects of music and the nature of relationships between generations are other concerns. In ‘Vivien’s Fingers’ a new parent tries to learn the piano, in an attempt to maintain an inner life separate from her young child. ‘Children’s Hospital’ depicts a ward of children suffering anorexia, while ‘Uncle Dan’s War’ explores the effects of post-traumatic stress on a returned POW. The protagonists are varied in these stories – and variously haunted.